A sequel to the bestselling Level 1 Scholastic Reader MAY I PLEASE HAVE A COOKIE? 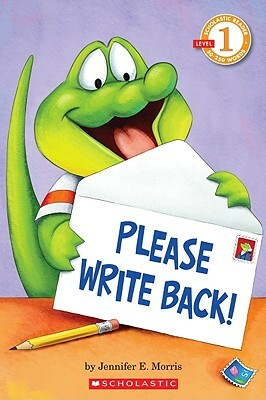 Alfie, an adorable alligator, writes a letter to Grandma all by himself. He addresses the letter, stamps it, and mails it. Alfie waits and waits for a response. Will Grandma write back? For kids just starting to read, this cheerful title in the Scholastic Reader series is a combination of very simple sentences and bright, clear, colorful illustrations. Kids will like the cozy story and the endearing alligator characters.